The US wants to see a “major disarmament” of North Korea within two and a half years – a timeframe taking it up to the end of Donald Trump’s first term in office in 2020. US secretary of state Mike Pompeo admitted there was still “a lot of work left to do” following Tuesday’s historic meeting between the president and Kim Jong Un in Singapore. The leaders pledged in a joint statement to work towards the “complete denuclearisation of the Korean Peninsula” but it stopped short of US demands for the North to give up its arsenal in a “verifiable” and “irreversible” way. 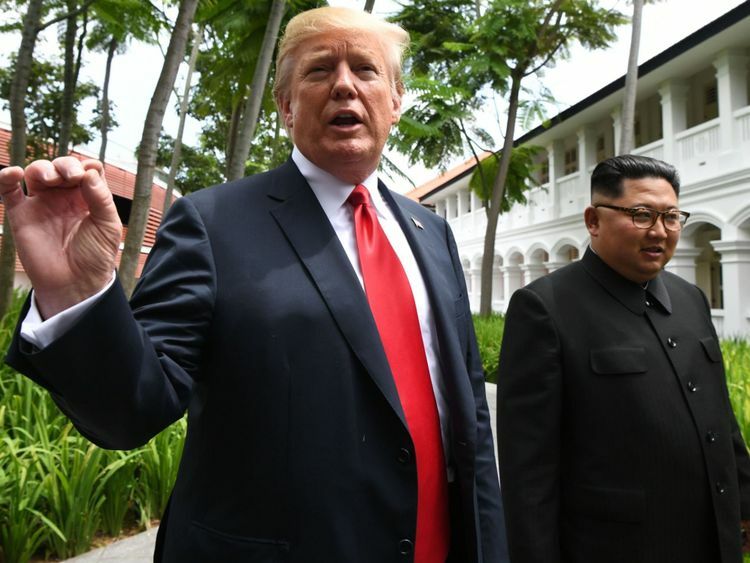 Critics have said the summit was more style than substance, producing a document short on details about the key issue of Pyongyang’s atomic weapons, and that Mr Trump had made too many concessions to Mr Kim. Speaking in Seoul where he was due to meet South Korean officials, Mr Pompeo said there were “lots of other places” where understandings were reached between Washington and Pyongyang that were not included in the final signed document. The secretary of state said he was confident Pyongyang understands there will be an in-depth verification of its disarmament process. Mr Pompeo also defended Mr Trump’s stance that joint military drills between the US and South Korea will end, insisting they could resume should negotiations with the North deteriorate. Earlier Mr Trump, on his return to the US, told the world it can “sleep well tonight” and said people can feel much safer now he has signed the document to promote peace. He wrote on Twitter: “Just landed – a long trip, but everybody can now feel much safer than the day I took office. “There is no longer a Nuclear Threat from North Korea. Meeting with Kim Jong Un was an interesting and very positive experience. North Korea has great potential for the future! “Before taking office people were assuming that we were going to war with North Korea. Mr Trump later stated the country’s biggest enemy is “fake news”, before claiming that NBC and CNN are fighting to “downplay the deal with North Korea”. 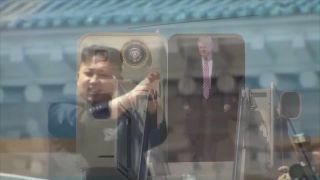 :: Has Kim taken Trump for a sucker at summit? Japanese foreign minister Taro Kono is also heading to Seoul and is due to meet Mr Pompeo and his South Korean counterpart. 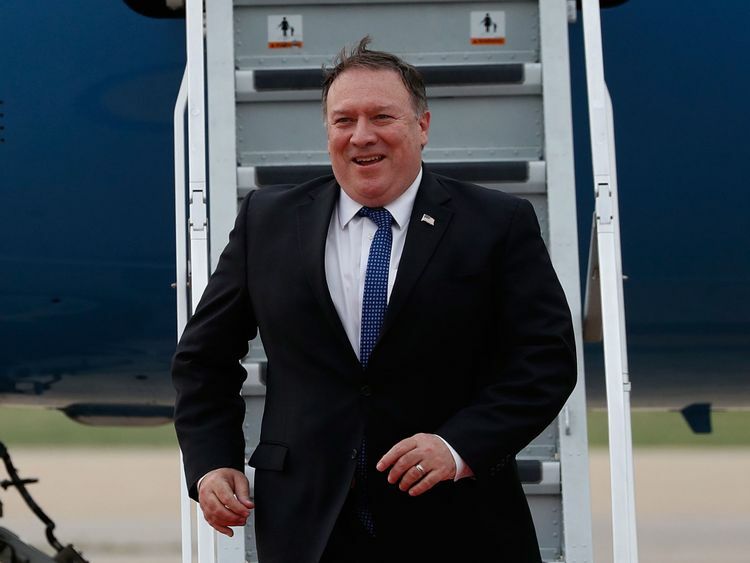 Mr Pompeo will then fly to Beijing to update the Chinese government on the talks. A spokesman for South Korean president Moon Jae-in said Washington and Seoul need to consider a “variety of ways to further facilitate dialogue” while they are engaged in nuclear negotiations with Pyongyang. Kim Eui-kyeom made the comments when asked to respond to Mr Trump, who said after the summit that the US and South Korea should stop their joint military exercises “as long as we are negotiating in good faith”. He says Seoul is still trying to figure out Mr Trump’s exact meaning and intent. The round of diplomacy came as there appeared to be confusion over whether US sanctions on North Korea would be lifted. 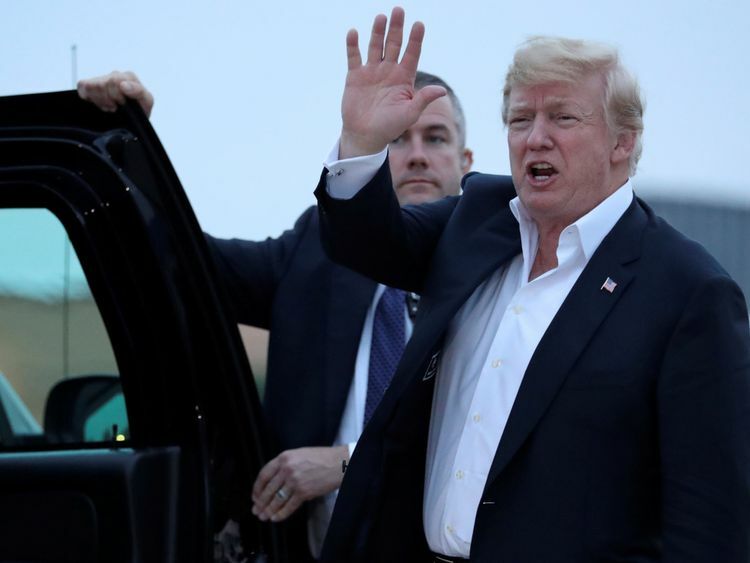 North Korea’s state media has reported that Mr Trump has “expressed his intention” to lift crippling sanctions against the country – despite the US president saying that they will remain until “nukes are no longer a factor”. But it had always been Mr Kim’s goal to rid his country of US sanctions and, according to the state-run KCNA news agency, that is exactly what he achieved. 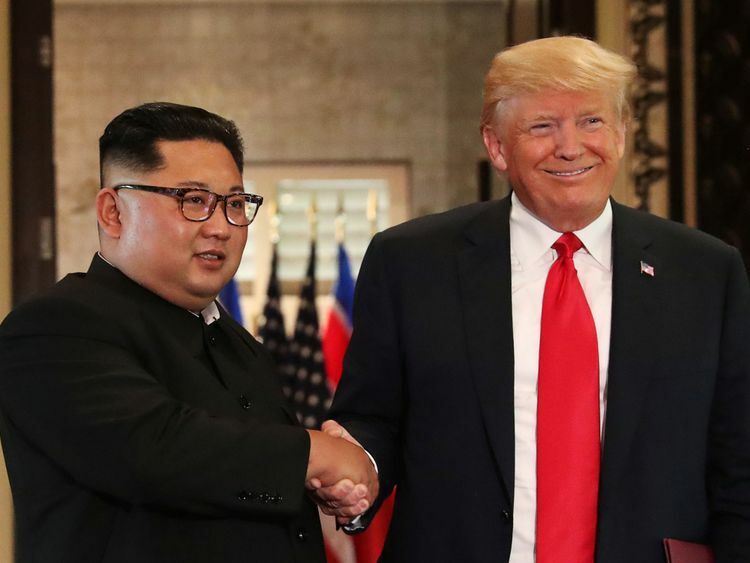 Following the “meeting of the century”, KCNA said Mr Trump had agreed to lift sanctions as relations improve, as well as halt US-South Korea military exercises and offer security guarantees. Sanctions had not been mentioned in the statement signed by the two leaders at the conclusion of the summit.